Call of Duty: Black Ops 2 is an upcoming first-person shooter developed by Treyarch and published by Activision. BO2 is the ninth main installment for the Call of Duty franchise, set for release on November 13th, 2012. 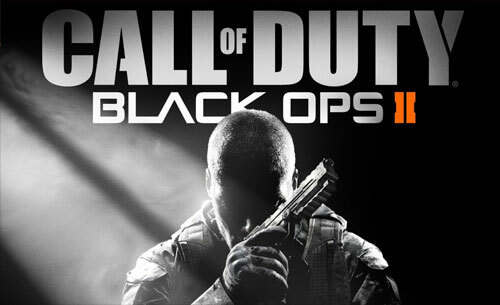 The black ops 2 game will be released on the Xbox 360, PlayStation 3, Wii U, and PC. The Zombies mode in Black Ops II will return with its own campaign and will implement the multiplayer engine, which allows for new game modes and the usage of the games multiplayer maps. The story of the game takes place across two separate arcs, one recounting events in the 1980s, and the other following characters in the year 2025. The multiplayer portion of the game will be set in 2025, which makes the black ops 2 guns futuristic, but some old guns, like the SCAR-H and VECTOR K10 are still in the game. The new Create-A-Class uses a 10 allocation point system, which allows players to customize their class like never before. The perks in Black Ops 2 have been balanced due to this: all the pro perks have been removed from the black ops 2 perks list and moved as weapon attachments. Modern Warfare 3 veterans will also enjoy the fact that the Pointstreaks will return as "Scorestreaks". Every action you take in BO2 multiplayer rewards you with points that can be used to deploy any of the 22 different black ops 2 scorestreaks, many of which are upgraded versions of their MW3 counterparts. The game is to feature 14 multiplayer maps and future black ops 2 maps will be available as DLC. All Black Ops II pre-orders will get the NukeTown 2025 multiplayer map as a bonus. There will be 3 special editions of BO2 available for Xbox 360 and PS3 players: Hardened Edition and Care Package Edition. PC players will get a special Digital Deluxe Edition for the first time in Call of Duty history.